Virtual Reality: VR Controllers? Yes or No, Sony? Hey there PlayStation gamers, Bre here with another PlayStation Update to brighten up your day. 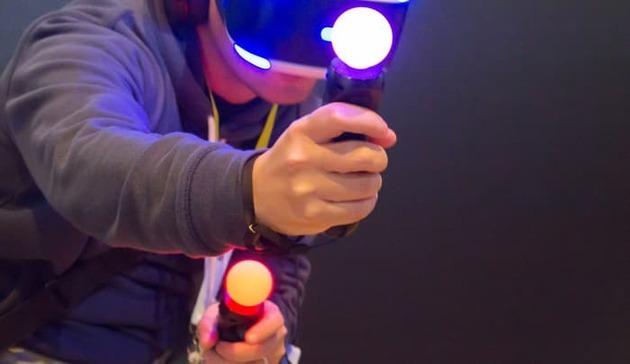 The newest news that has been sent to me is that Sony is rethinking their stance on rather they want controllers such as the “Move” and/or the newly announced aim controller to the PS4 VR effects. The torn comes when most gamers say they rather them use the dual shock 4 instead of these other two controller options. Though Sony is saying now that only certain games will require the move or aim controller. I guess I can see why they would need them involved for some games, because things such as “Just Dance” require something to be able to pick up your bodies’ exact movements for the game. Though at the same time I can see why gamers would not want this as a part of games, because it gives the gamer more freedom in movement without having to worry about holding anything to play the game. As for what will happen and what games this will be held to, only time will tell us gamers. Re: Virtual Reality: VR Controllers? Yes or No, Sony? I have to agree there @Gekkouga-Senpai but at the same time I can get why they want to make sure whichever options they give is the best for the system/games. @unrealgamergirl Regardless Sony needs to make up their minds soon since constant inconsistency and flip-flopping will hurt their reputation. @GrumbleVolcano I agree with that. I hate the flip flopping, but I guess we just got wait and see what they decide and hope it's soon.